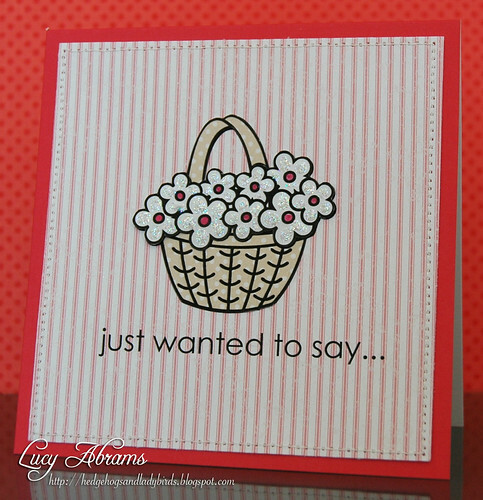 I'm here today with a little card set I made using some fab digikits: the flower basket is from Spring Garden, printed onto polka dot paper from the Earth Patterned Papers kit. 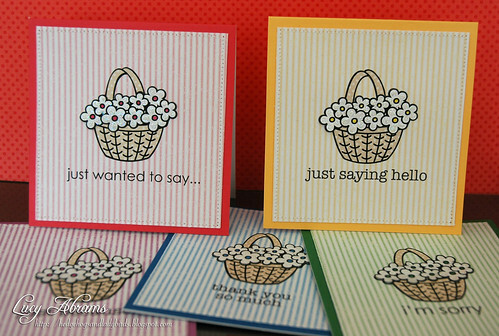 The sentiments are from Say It (In Pieces) and Say It (Again and Again) and the background stamp is Rough Stripe. Love that the stamps in this set co-ordinate perfectly with the Hero Hues papers. :) Makes it so easy to create. The cards are just 4 x 4", perfect size for quick little notes.